Ingenious hanger hook connectors allowing several garments to be hung in a daisy chain saving lots of clothes rail hanging space. 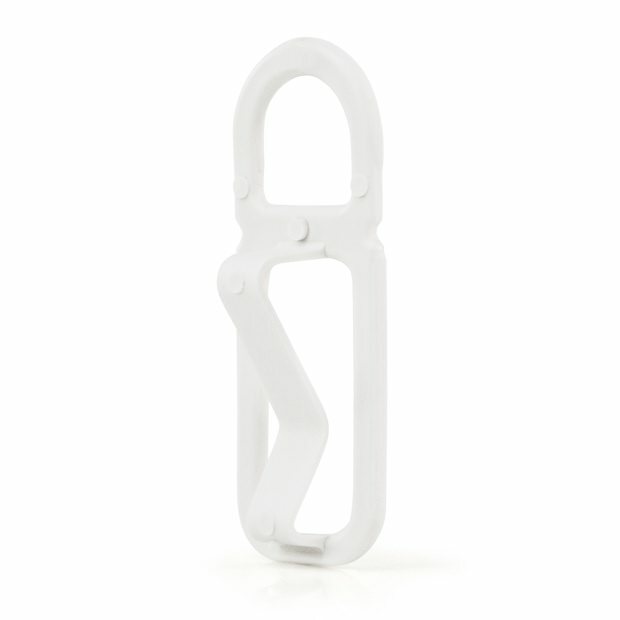 Simply place over any hanger hook and inset an additional hanger hook into the connector. Strong enough to hold several garments. Brilliant where wardrobe space is a problem. Size: Length 4.5cm (1.8") approx. Size: Length 4.5cm (1.8'') approx.